Two men were found dead in the Rogers Park neighborhood on Wednesday afternoon. 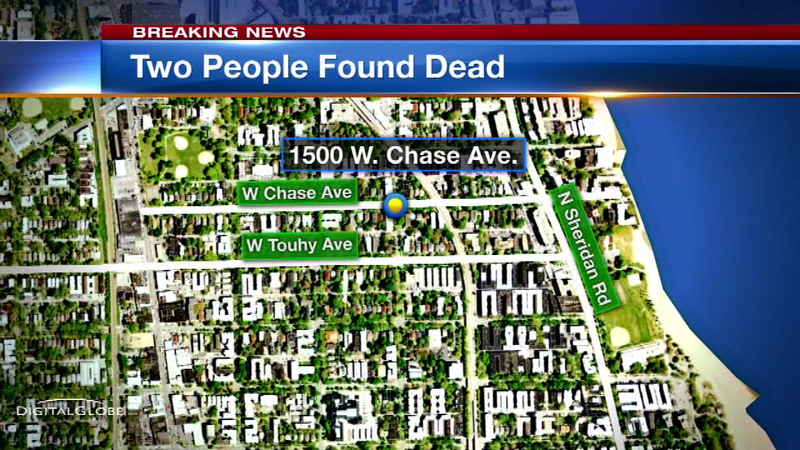 CHICAGO (WLS) -- Two men were found dead in the Rogers Park neighborhood on Wednesday. Police officers found the bodies in the 1500-block of W. Chase around 4:50 p.m.
Police said it appears to be a murder-suicide. The two men were roommates. the medical examiner identified one of the men as Michael Bowers, 52. The identity of the other man has not been revealed.